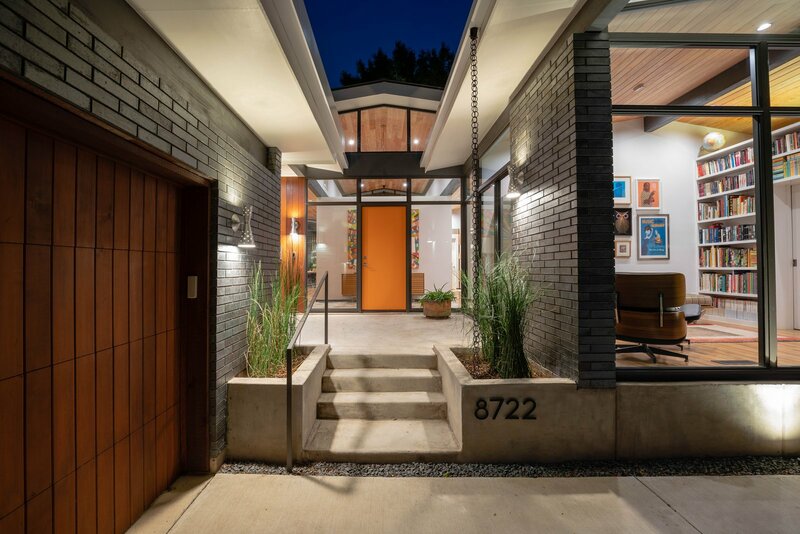 This Mid-Century Modern inspired jewel box is just over 2,200 SF. The quaint footprint features douglas fir vaulted wood ceilings and white oak floors throughout. An elevated pier & beam foundation allows for under floor HVAC distribution. Floor to ceiling windows flood the house with natural light and open up to views of the Entry Court and Entertainment Deck. 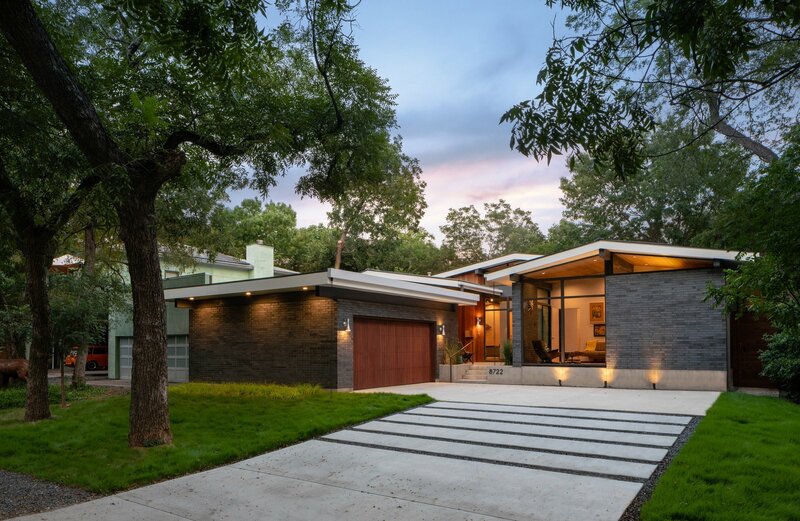 The exterior pallette includes a dark manganese brick, standing seam metal roofing, and Ipe wood siding accents. 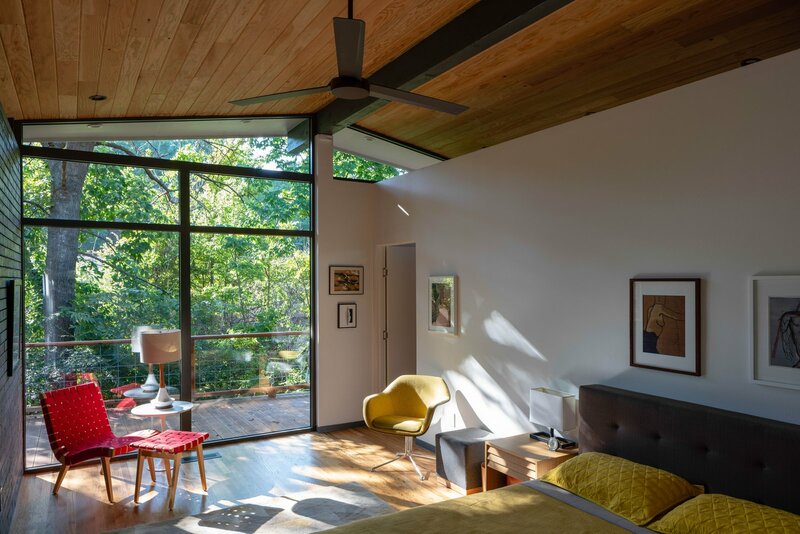 Previously in the 100 year floodplain, the house and rear cantilevered deck now sit above a creek that runs along the backside of the property.